the appropriate vegetables contained on it? Sure it is. If my art can bring a smile to your face I think my watercolors have succeeded. 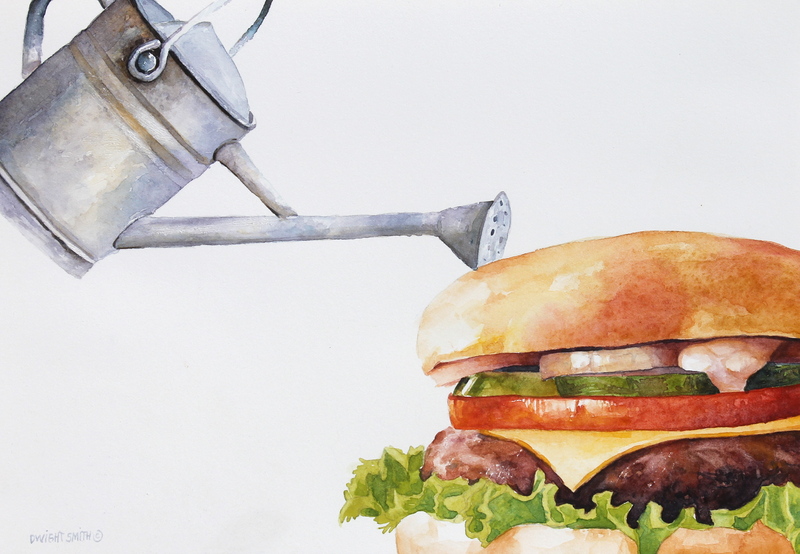 Of course a cheeseburger isn’t a garden burger but enjoy it. Life is short. Thanks for visiting my art. This original watercolor is available at UGallery.com.